Create a budget. 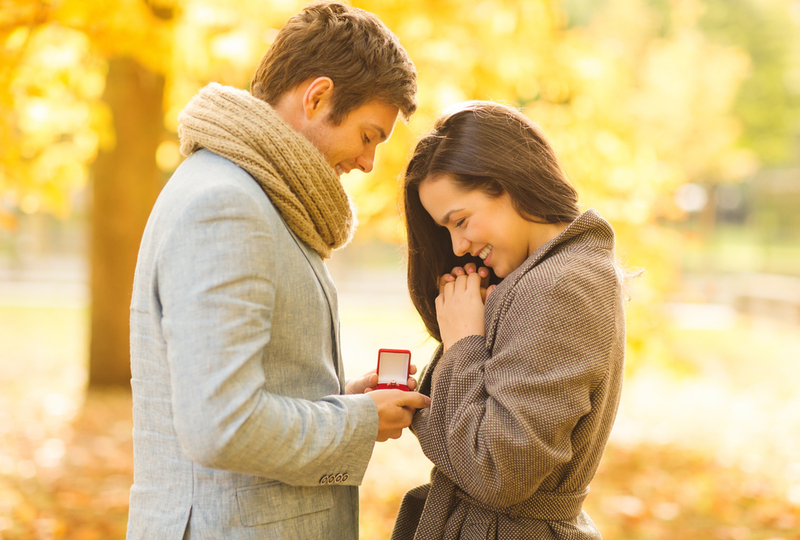 Making a diamond engagement ring budget before setting foot in a jewelry store is important. If you don’t have a budget in mind, you’ll be more likely to overspend on a diamond engagement ring. You wouldn’t go to a realtor without knowing your budget for a house, would you? The same approach should be taken with purchasing a diamond. Also, once you begin shopping, be sure to tell your sales representative you do not wish to see any diamonds above your limit. If they don’t respect that request, it’s probably a red flag that they’re putting profit ahead of people. Shop around. When shopping for a new car, you probably wouldn’t buy one from the first dealer you go to. Hopefully, you would shop around to make sure no other dealers in your area had a better price. The same should be true with diamond engagement rings. There can be a variance in pricing from jeweler to jeweler. Be careful, though, that when you’re comparing diamonds from different dealers you compare apples to apples. Compare the same carat weight, cut, color, and clarity diamonds. Know what’s important. Take it from us – there is absolutely no need to buy a D colorless, internally flawless diamond. Your friends and family are not going to be looking at the diamond with a loupe or magnifying device. Instead, look for diamond clarity that is affordable and doesn’t have large inclusions. This would be the SI1-SI2 range without “eye visible” inclusions. Large black inclusions, and inclusions that reflect, are usually more noticeable than white feather type inclusions. Also, look for a diamond color that is in your budget and doesn’t compromise a nice bright white. For this, we typically recommend F-H (never going below an ‘I’ color grade). Lastly, don’t ignore the cut grade. We’ve found that many sales representatives focus primarily on the color and clarity grades. Make sure to ask the salesperson for cut grades of the diamonds you’re looking at as well. We recommend looking for a very good to excellent cut grade. 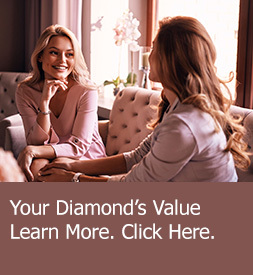 You can have a K color, I1 clarity diamond with an excellent cut grade that will out-sparkle and out-fire a D colorless, internally flawless diamond with a poor cut grade. Sleep on it. Finally, always ‘sleep on it’ before making a final diamond purchase. Don’t ever feel pressured to make a decision on the spot, because it could be one you regret later. If a sales professional is rushing you, that’s a red flag that it’s probably not a company that will provide excellent customer service for the long haul. Other than cars and houses, buying a diamond engagement ring will probably be one of the biggest purchases of your life. With that can come a lot of pressure purely from yourself, but these tips can help you purchase a stunning diamond engagement ring for your partner with as little stress as possible.